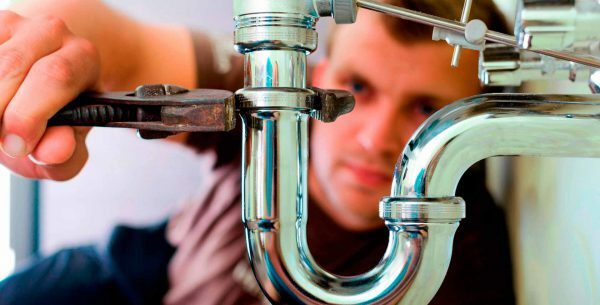 Looking for plumbing services in Radyr? Well then, you should definitely be considering us, here at Warmfront Plumbers. Let us take care of all your heating and plumbing requirements. We have a dedicated team on hand, who are always available to help with any plumbing or heating job, whether large or small. We are more than proud to be able to provide you with an outstanding service and we know that you’ll be more than happy with the end results. Plumbing services in Radar – The reasons to choose us! Here at Warmfront Plumbers we always put our customers at the very heart of what we do. We are 100% dedicated to them and will always do our very best to provide them with the results they are looking for. We are confident that when you choose us to carry out any plumbing or heating job, you’ll love the end results. Here at Warmfront Plumbers no job is too big or too small. Whether you’re looking to repair a faulty boiler or maybe install a whole new bathroom suite, we are here for you. We offer a fantastic range of services! Here at Warmfront Plumbers we are extremely proud to be able to provide you with an excellent range of services. These include blocked drain services, power flushing, chimney sweep services, central heating installations, landlord gas safety certificates, emergency call outs, boiler breakdowns and repairs, boiler installations, plumbing services and renewable energy services. As you can see, if you’re looking for plumbing services in Radyr, you should definitely consider us, for our high quality services that we are delighted to provide you with. Get in touch with us for more information about what exactly we can offer you, here at Warmfront Plumbers. As we mentioned earlier, our customers have and always will be at the very heart of what we do, here at Warmfront Plumbers. We think of it like this, if our customers aren’t happy then we are definitely not happy. This is why we always do our very best to provide them with nothing but the best, so they can have results to be proud of and show off to family and friends. When you choose us, to carry out your plumbing or heating work, you can be rest assured, you’re in the safest of hands. Our team members are experts at their trade and we as a business have been going for over 20 years. Now, that really is something to be proud of. So, as you can imagine, we have a wealth of experience in this industry as well as all the knowledge that’s needed to ensure a job well done and results that are sure to impress! Here at Warmfront Plumbers our gas engineers are all gas safe registered, which was formally known as CORGI. We are therefore able to complete work on all of your gas appliances, whether at your home or business premises. So, you definitely don’t have to worry about safety. With us, you’re in safe hands. We can repair or install any gas appliance at your home or even at your business premises very safely and absolutely to the highest of standards. With us, here at Warmfront Plumbers, we know that whenever something goes wrong with your plumbing or heating it’s a disaster for the entire family. You want the problem solved as fast as possible to get your routine and family life back to normal. We totally get this, which is why we will always do our very best to get to you as quickly as we can. We are more than pleased to be able to offer you our emergency call our service. We are based in Cardiff, so are more than capable of getting to you the very same day, when you use our emergency call out service. If your needs aren’t an emergency then we’ll usually get to you within 48 hours. Here are Warmfront Plumbers we have so much to offer, as you can see. Whether you’re looking to have your boiler repaired, a new one installed, a drain unblocked or maybe you’re looking for a luxurious new bathroom suite fitted, we can definitely help you. For plumbing services in Radyr, you should definitely be considering us, here at Warmfront Plumbers. Not only do we offer a wide range of services but we are very competitive on price too. Each of our team members have been trained to the highest of standards and are waiting to help you achieve high quality results that you will be more than happy with. Need a Plumber in Radyr?